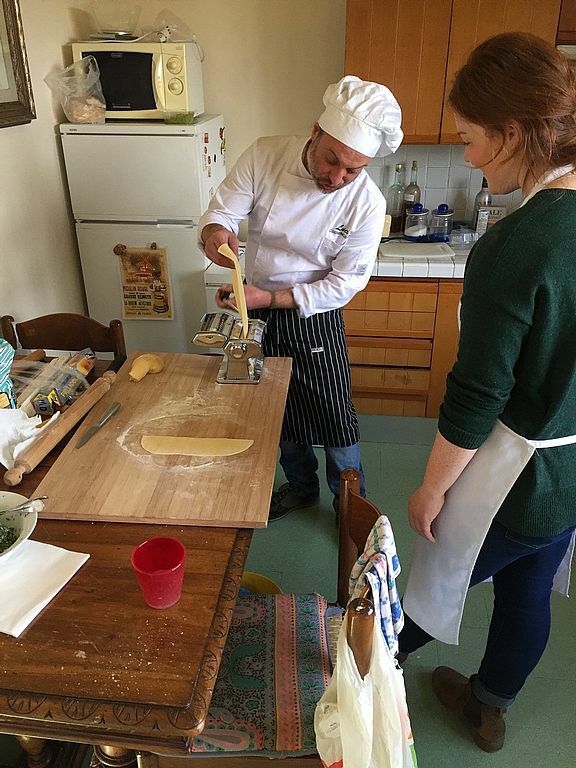 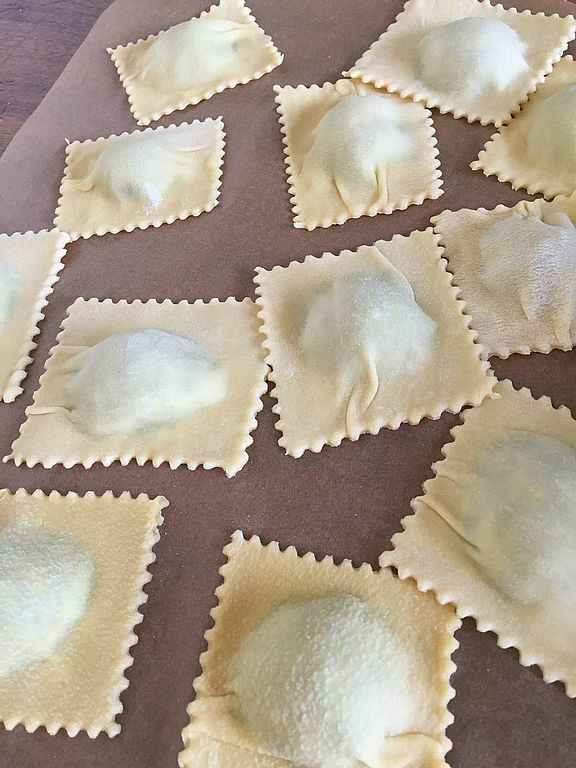 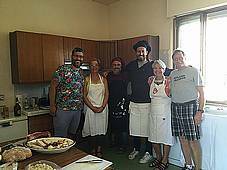 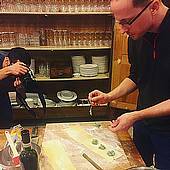 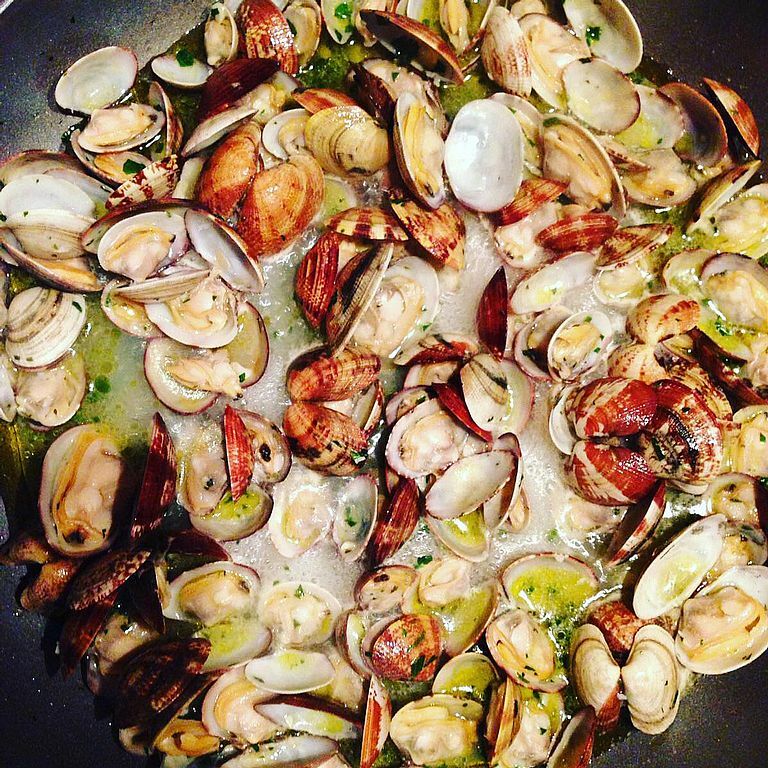 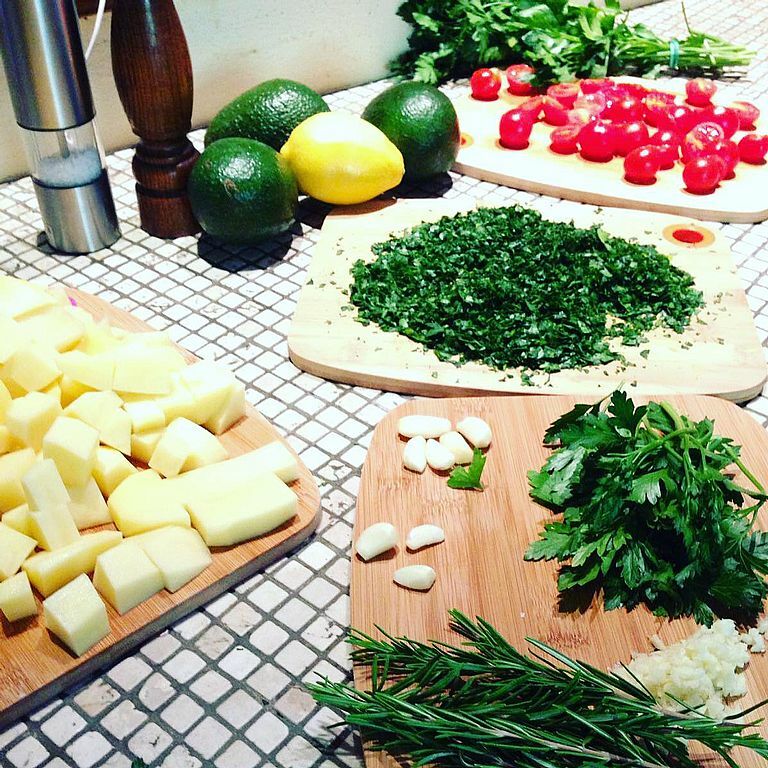 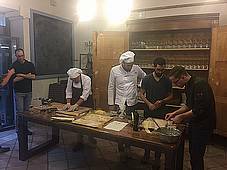 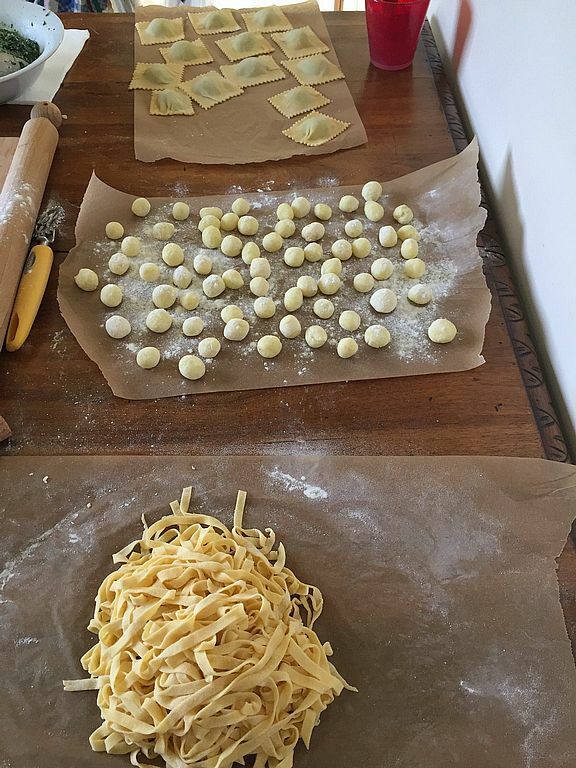 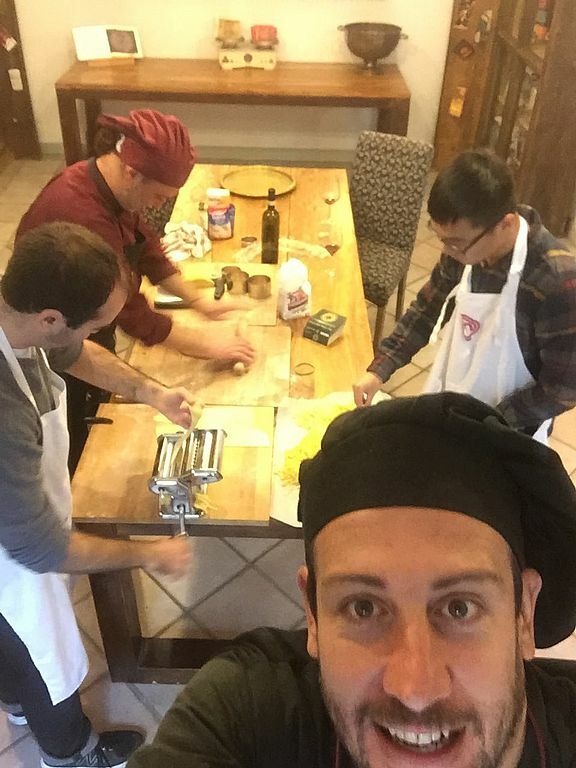 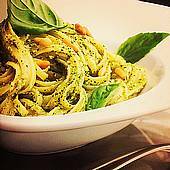 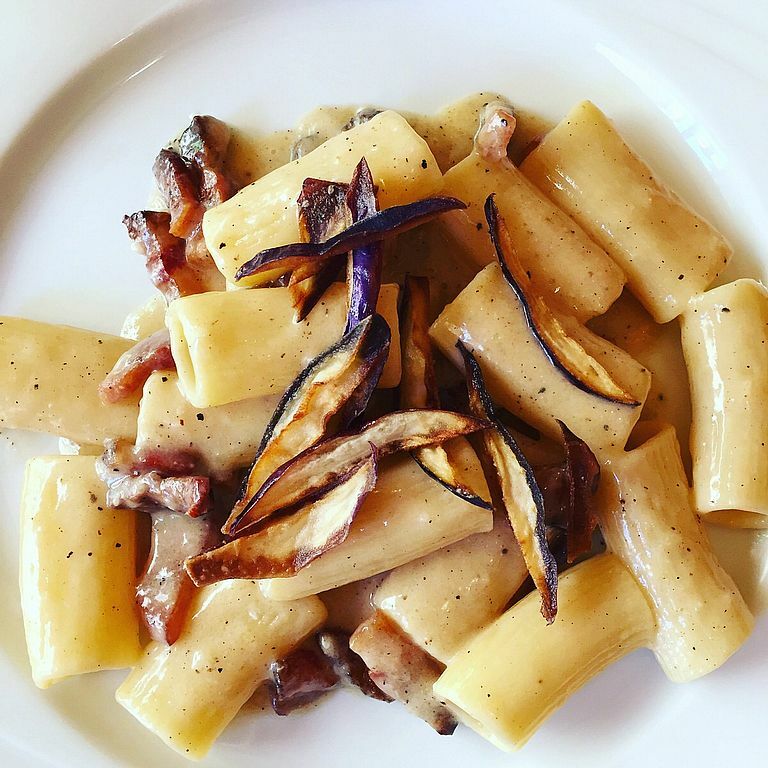 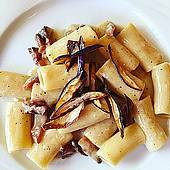 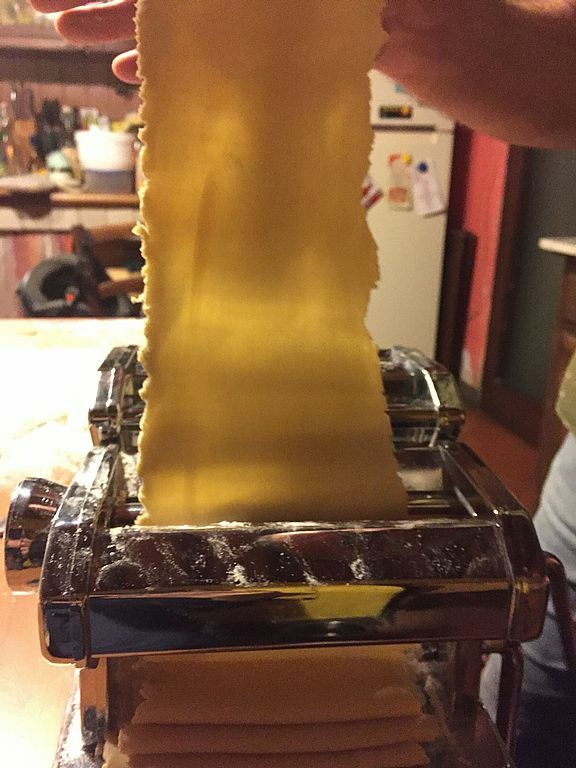 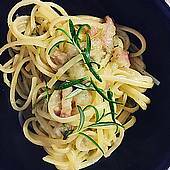 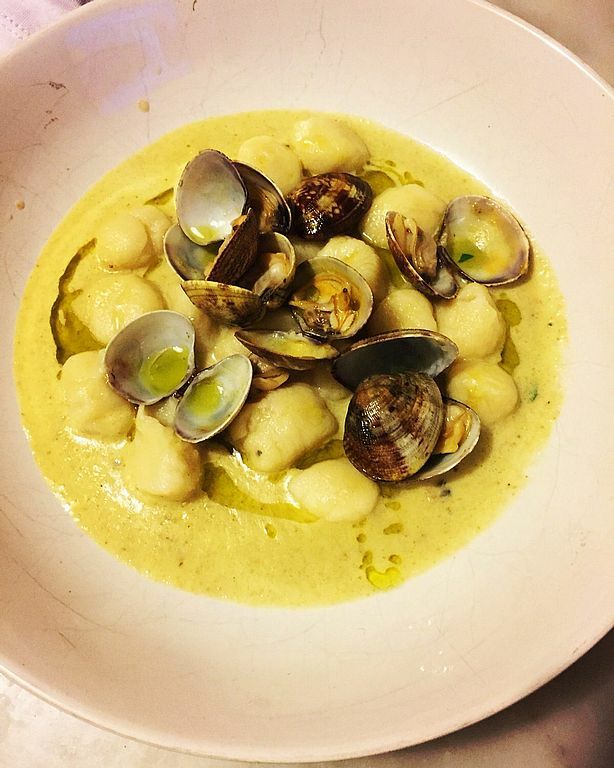 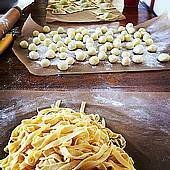 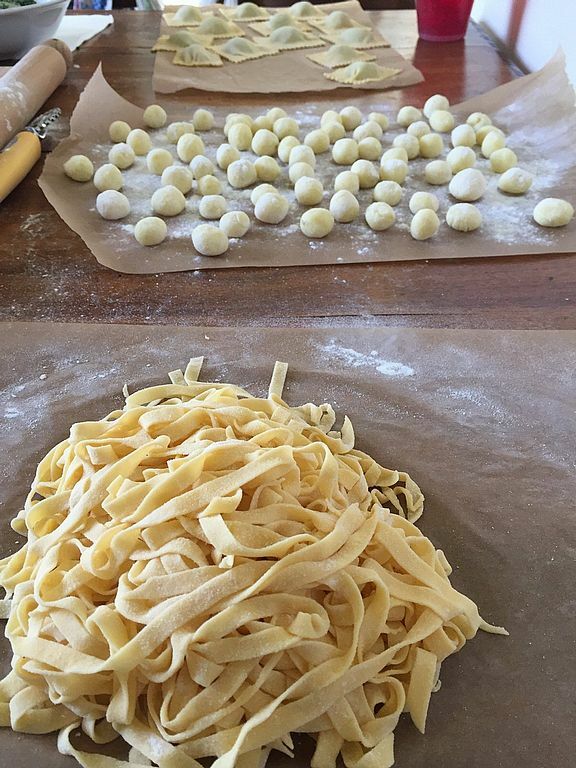 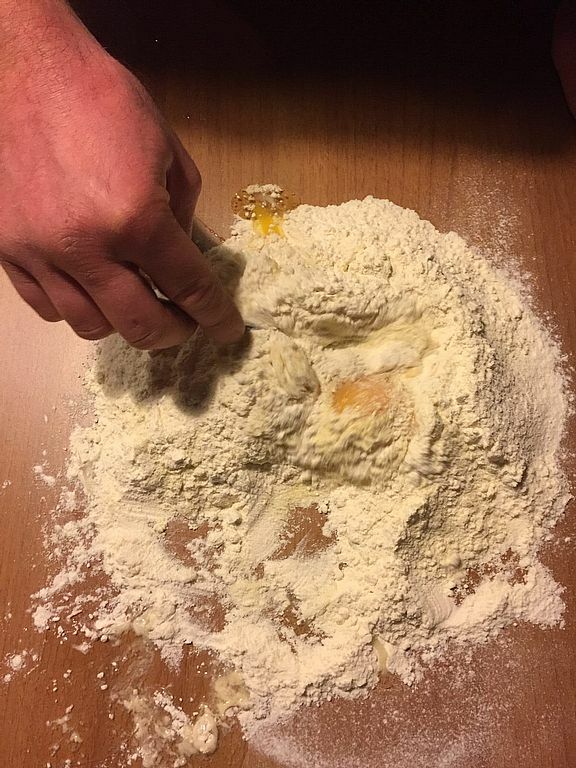 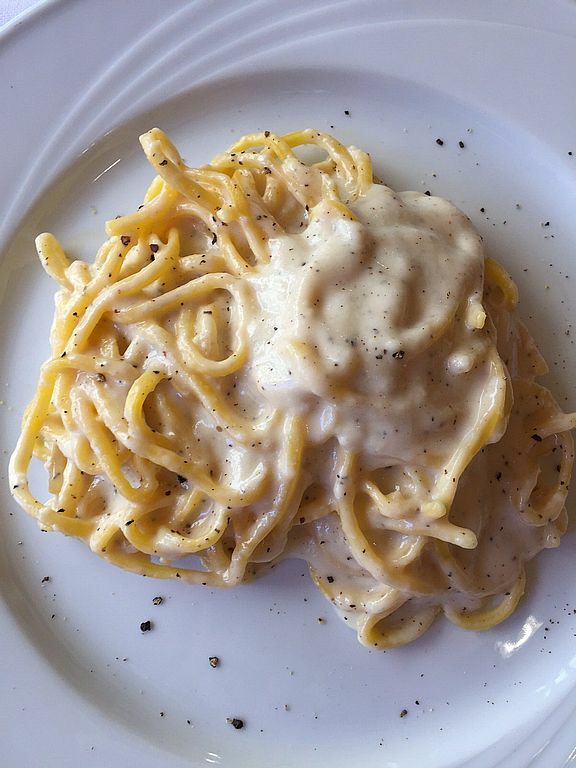 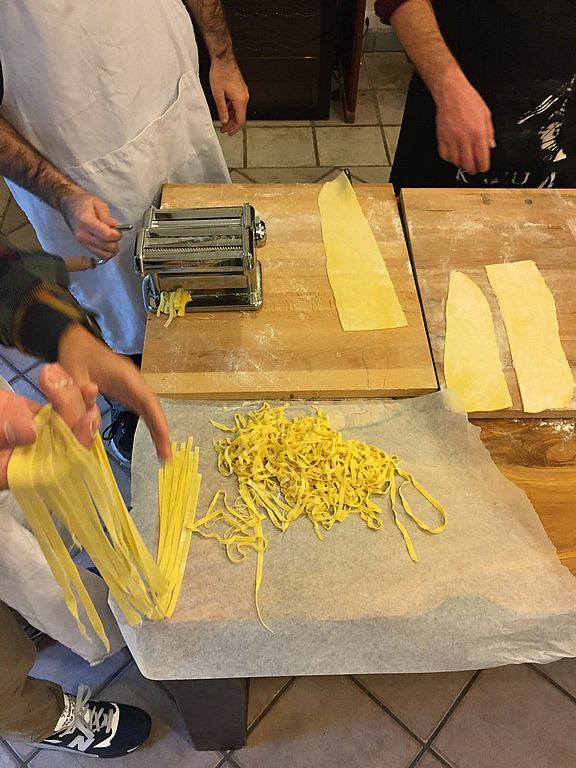 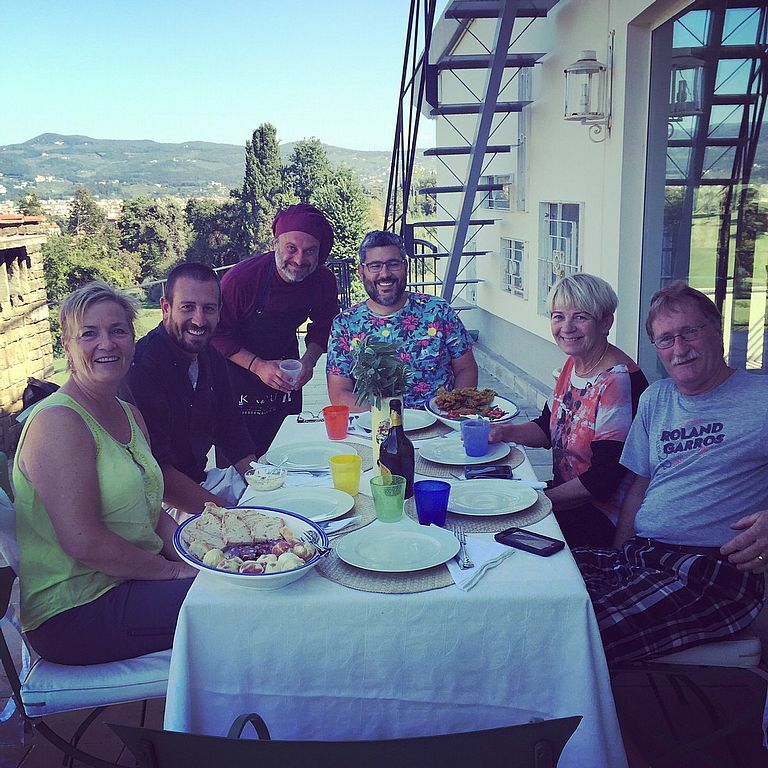 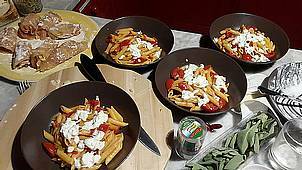 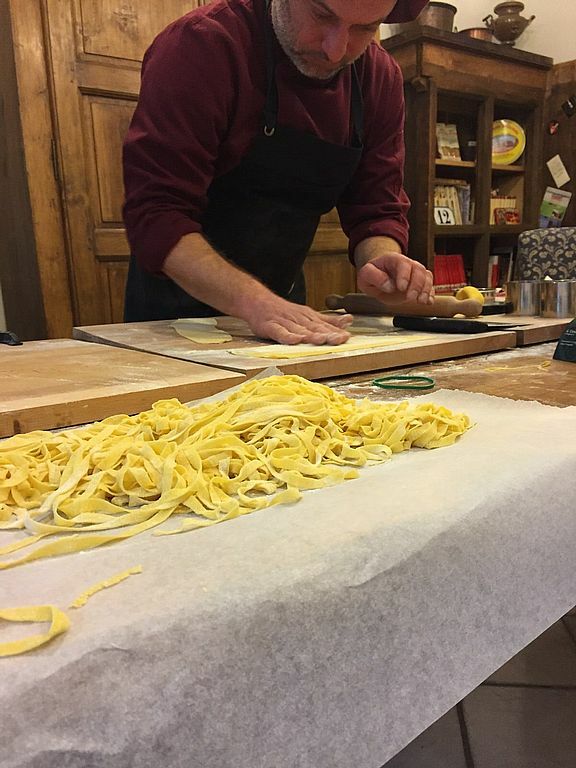 Fresh Pasta Cooking Classes in Florence! 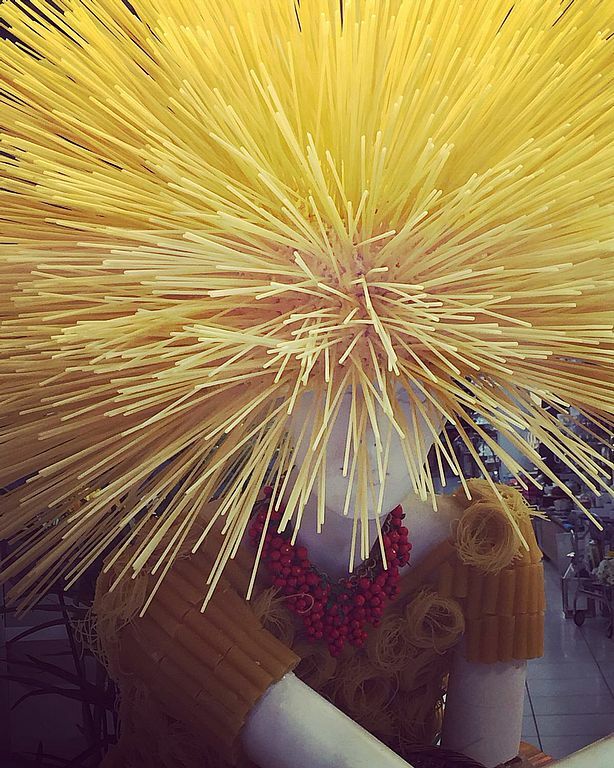 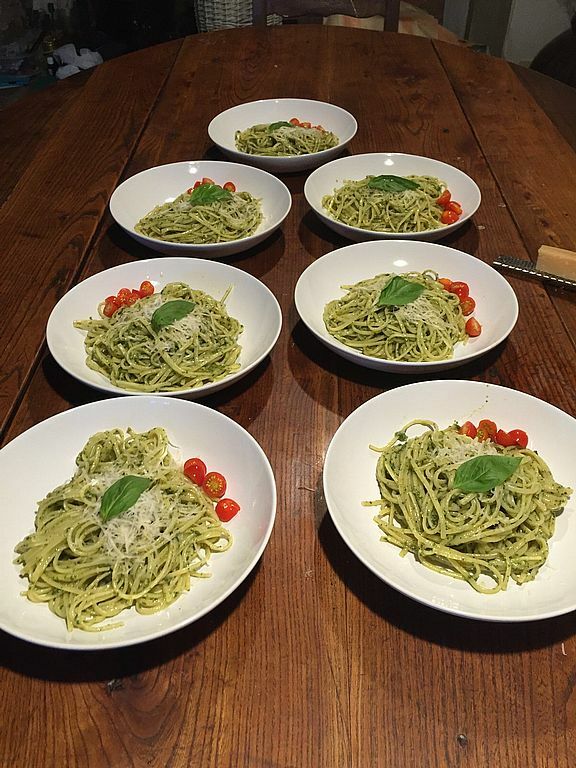 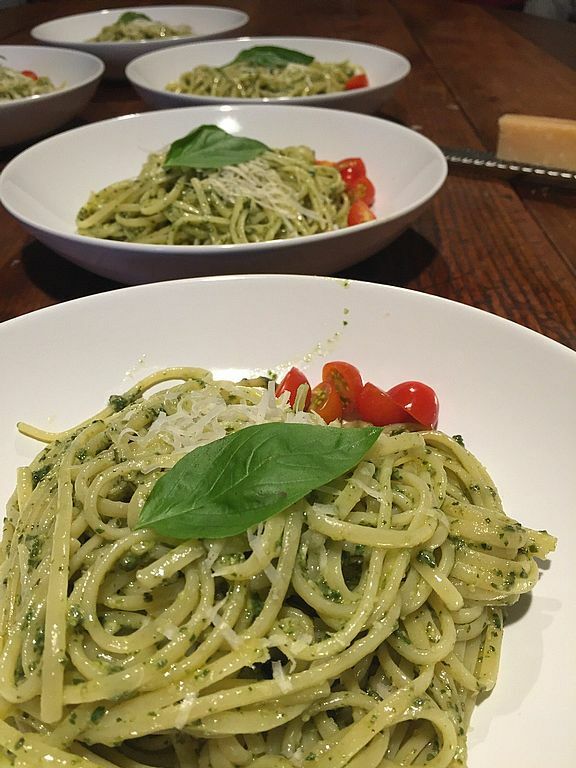 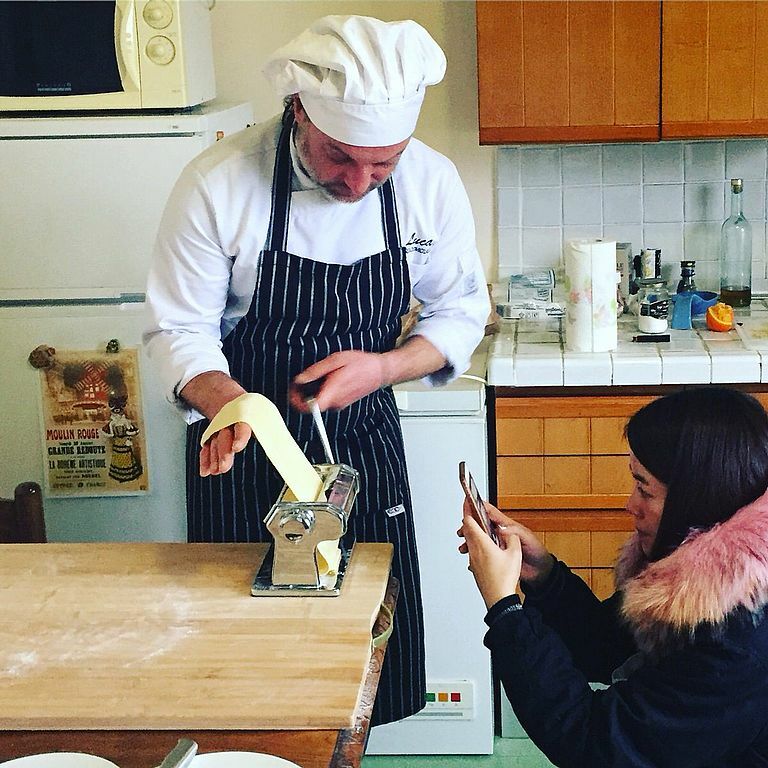 Our pasta-making class is fun ! 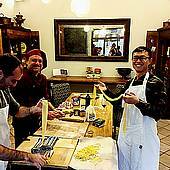 Fresh Pasta Cooking Classes in Florence. 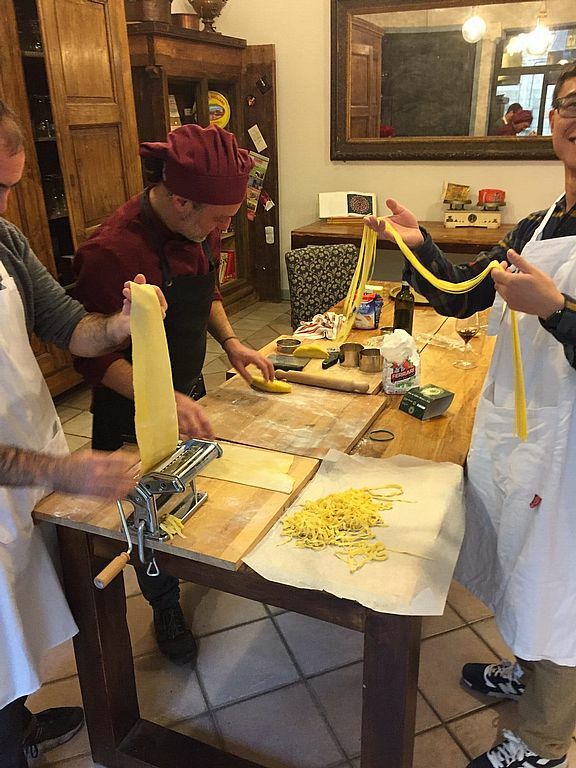 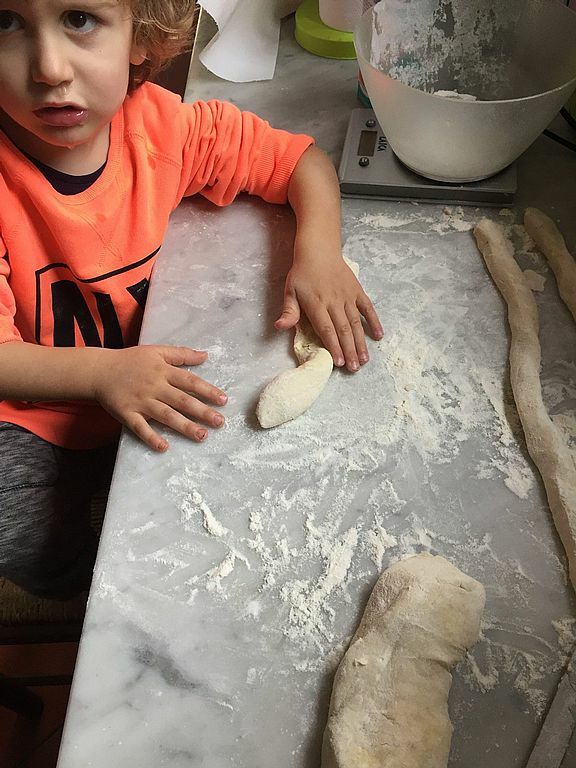 Experienced cookery tutor chef Massimiliano ( Max ) and chef Luca learned to make pasta from our Italian granny, and now we are ready to share the wealth. 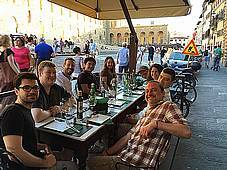 Normally 95€ persons with 15% discount for big groups. 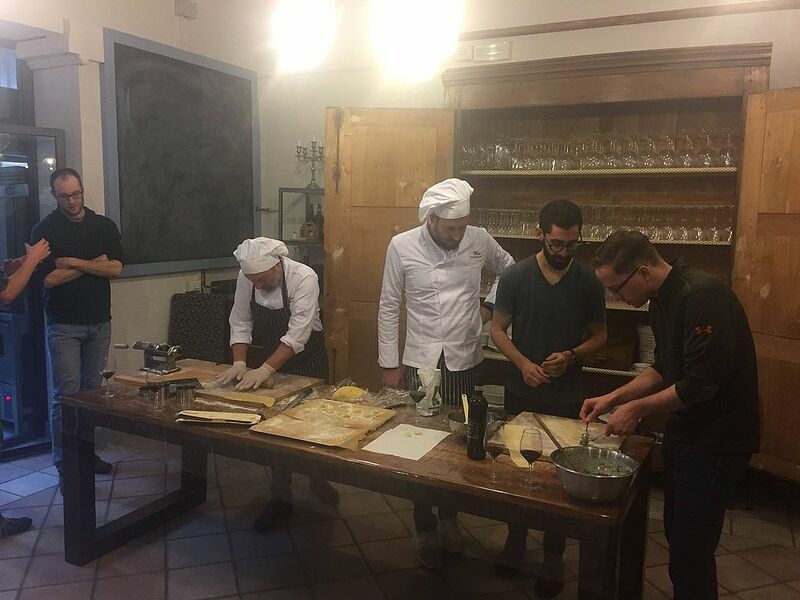 This event is not only a cooking class but a place to socialise, it's fun, it’s a nice experience in Italy! 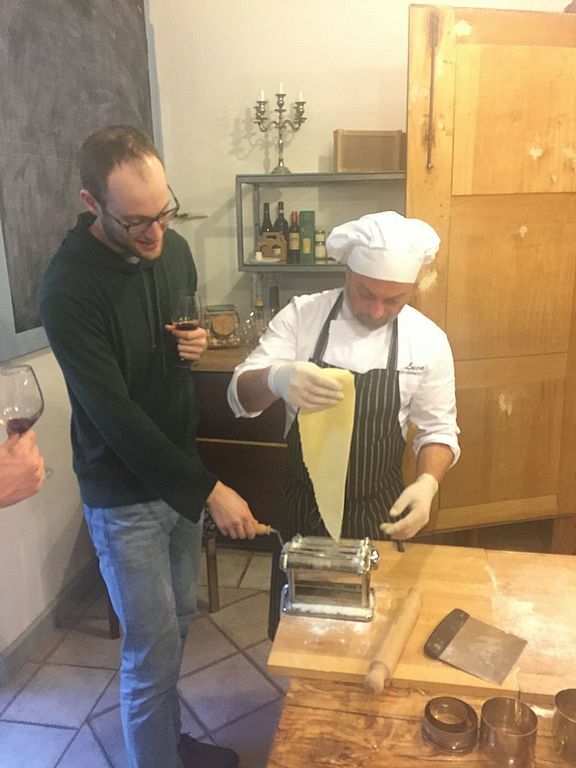 Great wines, entrée, dessert and lunch are included in the package. 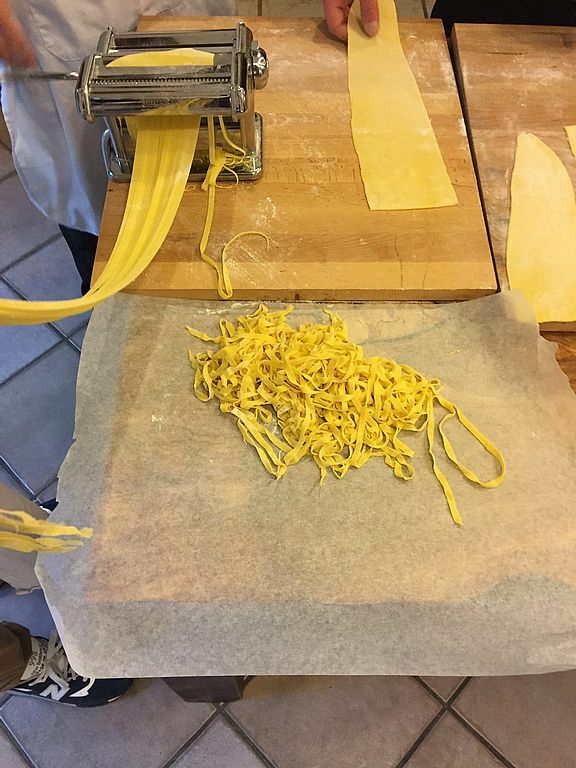 We will prepare 3 or 4 type of fresh pasta: ravioli, tagliatelle, tagliolini, orecchiette, pappardelle, lasagne, gnocchi, gnocchetti, tortelli. We choose together the best products and we will decide together the menu. We will buy together the ingredients to the famous market of Sant Ambrogio, in the center of Florence. 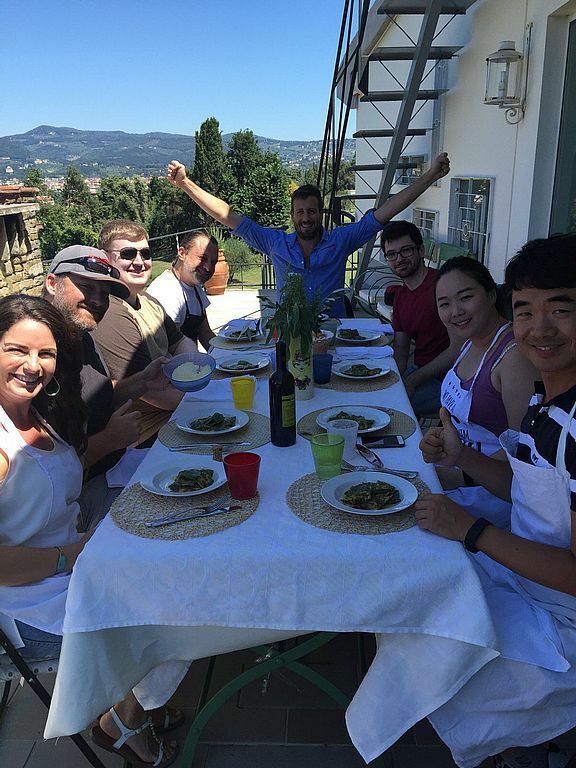 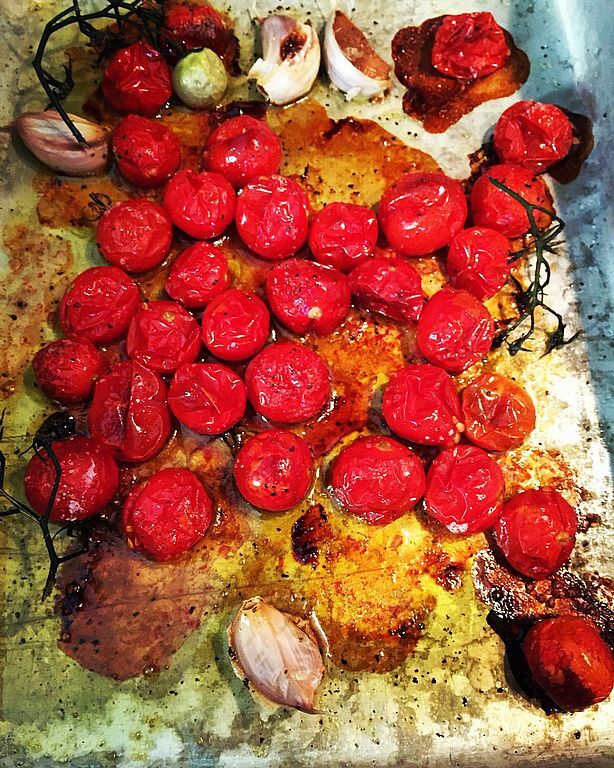 We will use all products of the season, Tuscan meat and Florentine vegetables! 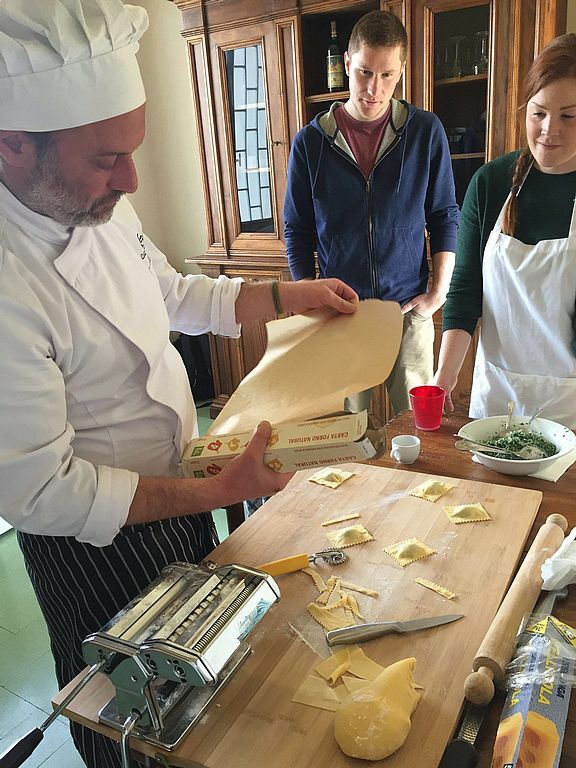 Course with direct participation performed by a professional chef. 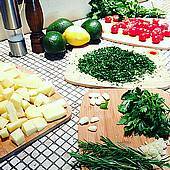 Lunch together chef's hat lesson Duration: 5/4 hour course and tasting | total 4 hours.